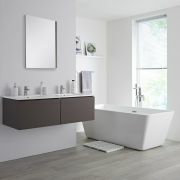 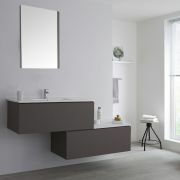 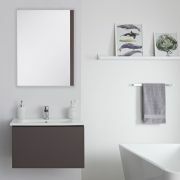 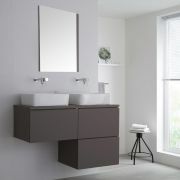 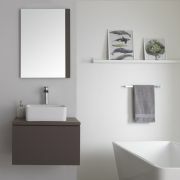 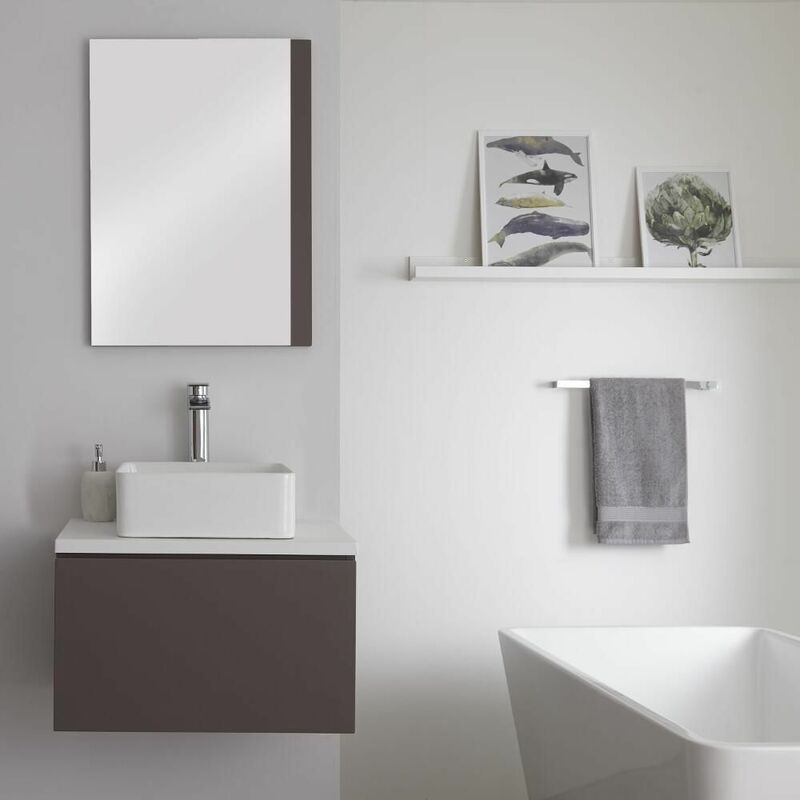 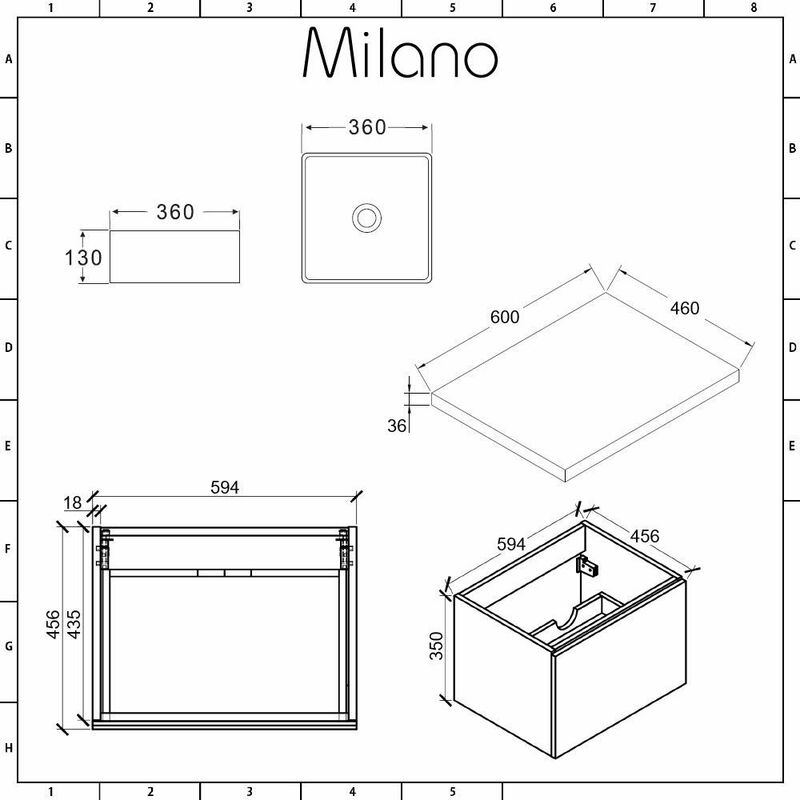 Boasting clean, modern lines and practical storage, the wall-mounted Milano Oxley 600mm vanity unit and basin will make a real statement in your bathroom. 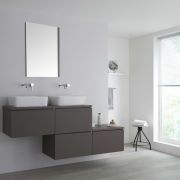 Benefitting from strong moisture resistant engineered wood construction for long-lasting durability, the Oxley vanity unit features complementary matt grey and matt white finishes for a contemporary look. 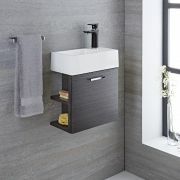 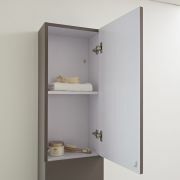 A spacious push to open soft close drawer allows you to keep your toiletries and beauty products stored out of sight so that your bathroom can maintain a neat look. 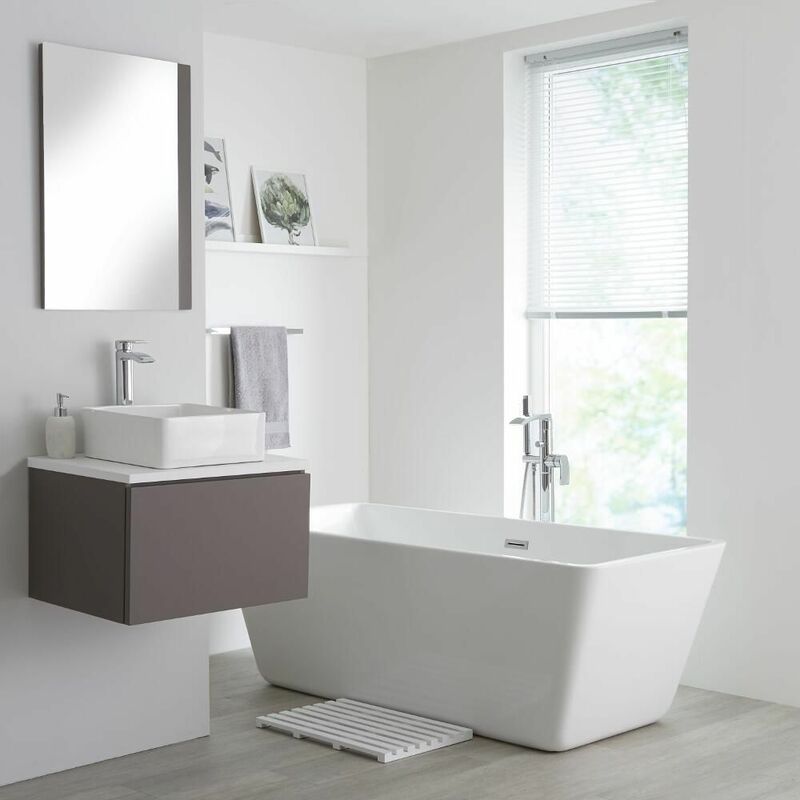 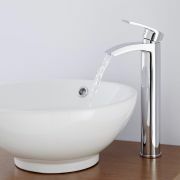 The simple, sleek lines of the rectangular countertop basin enhance the look and makes it possible to personalise the finish with one of the wall-mounted or high-rise taps from our range.